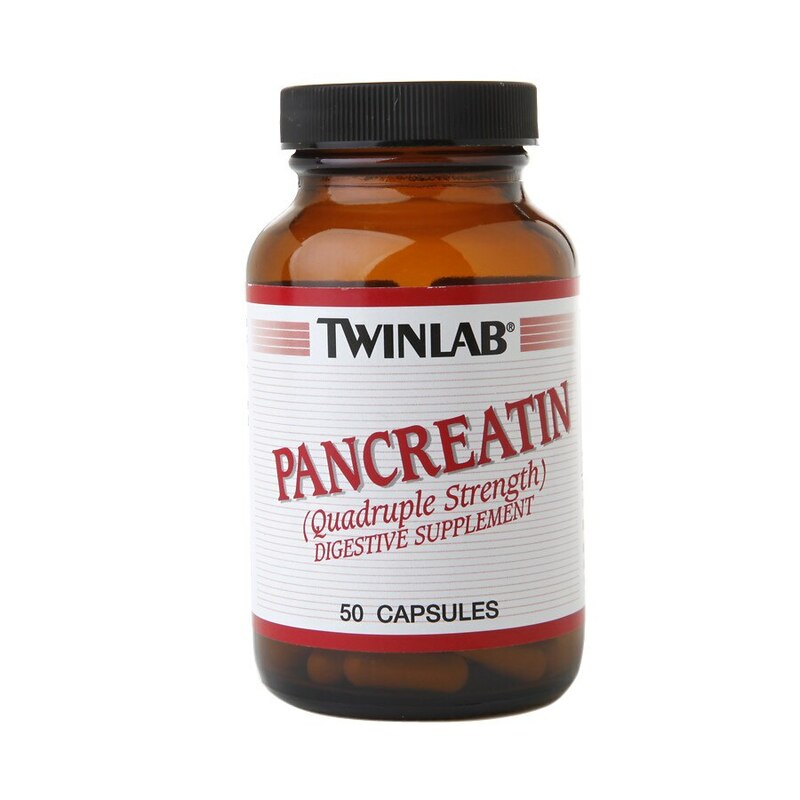 TwinLab® Pancreatin (quadruple strength) is one of the richest pancreatin digestive enzymes available. One capsule will help digest approximately 50 grams of protein, 50 grams of starch and 67 grams of fat. One capsule will help digest the protein in 3/4 lb of steak, the starch in 3 lbs of white potatoes and the fat in 1-3/4 oz of Italian salad dressing. Pancreatin: Equivalent to 2,000 mg of pancreatin USP, providing Amylase, 50,000 USP units, Protease 50,000 USP units (Trypsin and Chymotrypsin), Lipase 4,000 USP units. Take 1 capsule after each meal. Keep tightly closed in a cool, dry place.